Next PostNext 56. 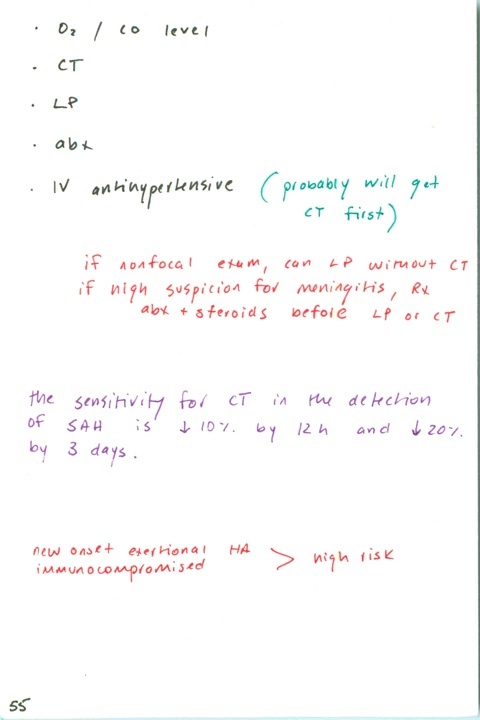 What % SAH are missed on first presentation? / Which cranial nerve mediates pain in most headaches? / Cephalalgia should always trigger consideration of which region, and vice-versa?